Fongers was a Dutch company that mainly supplied the military with bicycles. I hope the queen makes the best choice. 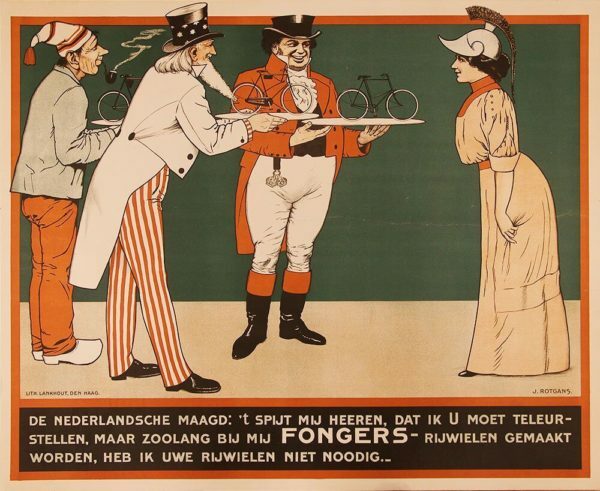 A very interesting poster from the first world war era.